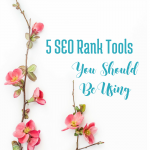 SEO rank tools are so much fun! Especially when becoming a student of SEO (Search Engine Optimization) can literally change your life! 3-6 months ago my site Paradise Praises had 20% of it's traffic coming from organic searches, meaning that someone typed something into a search engine, which pulled up my site and the results and they clicked on my article. After using some of the SEO rank tools I'll mention in this post and tweaking things a bit, organic search traffic for the last 3 months has climbed to almost 25% off all traffic, and overall traffic has increased as well. So, Which SEO Rank Tools am I Using for Better Results? What is the best of all SEO Rank Tools? The Yoast SEO plugin will help you see immediately how you rank for your chosen “focus keyword” in a page or post. The easy red, yellow, orange and green indicators in the Yoast information below your page/post also give suggestion for improving the SEO of the post. Things like adding the focus keyword to your alt tags, linking out to relevant sites, etc. can help to improve the rank. Follow their suggestions (as much as makes sense for your post) and go for the green on every bullet point, not just the post itself. But beyond that, in your wordpress dashboard, it will also give you an overview of alll of your posts, telling you how many have bad, ok or good SEO scores. Click the link and it takes you to a list of those posts, so you can edit the posts to improve the score. 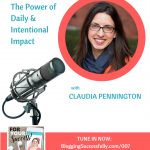 I also highly recommend checking out their blog to stay up to date on the world of SEO. In every WordPress blog pages and posts have tags and posts have categories that you can add to them. Each post should have only ONE main category (more info on that here), but can have multiple tags. Each of those tags and categories can also have descriptions and SEO focus keyword information. Go to your WordPress sidebar and click posts, then categories, and edit the description, archive heading, archive description and yoast SEO settings and save. Then do the same for the tags. Open Site Explorer free tool gives you 3 free searches or unlimited searches if you open a free account with them. You can search your own home page or any URL on your site or other people's sites to see how you (or they) rank for domain and page authority. Like Alexa, this doesn't do much on it's own, but when compared (in a healthy way) to similar sites in your niche, and when compared to your own history over time, you can gauge how your site is doing. 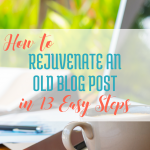 Sharon Gourlay of Digital Nomad Wannabe says that a healthy score is 31 or higher, and linking to and getting links back from other sites in your niche with higher scores, helps to improve your relevance and therefor your page rank. Install this free plugin and then go to plugin settings and paste in this list of links. 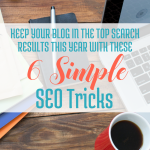 This puts your content out to many more search engines and increases organic search probabilities by pinging and notifying all the ping services that your blog has been updated. This encourages search engines and different blog directories/services to index your updated blog properly. A sitemap is essentially a list the web pages of your site and their meta data (descriptions) that tells Google and other search engines about the organization of your site content. Search engine web crawlers (like Googlebot) read this information to more intelligently crawl your site. If your site’s pages are properly linked, the web crawlers can usually discover most of what they need, however sitemaps can help to improve the ease of crawling of your site, especially if your site is new with few outbound links or is huge with lots of content. Get more information about this and how to create and submit sitemaps here. 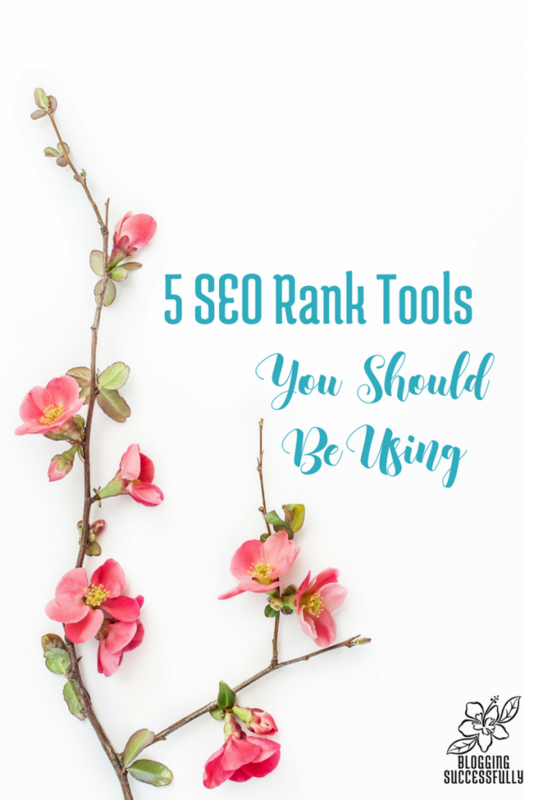 So, those are my favorite SEO rank tools. 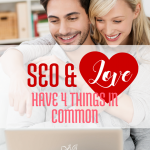 Do you have another you love to use to improve your SEO? Tell me about it in the comments. Just getting started? 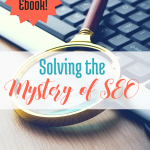 Grab a free copy of our SEO Spy ebook here.